With the NBA deadline coming to a close, the talks between the New Orleans Pelicans and the Los Angeles Lakers have stalled and it doesn’t look like Anthony Davis is leaving N.O. This might be a better play by the Pels, considering more teams can join the sweepstakes for The Brow and offer more than the Lakers can. 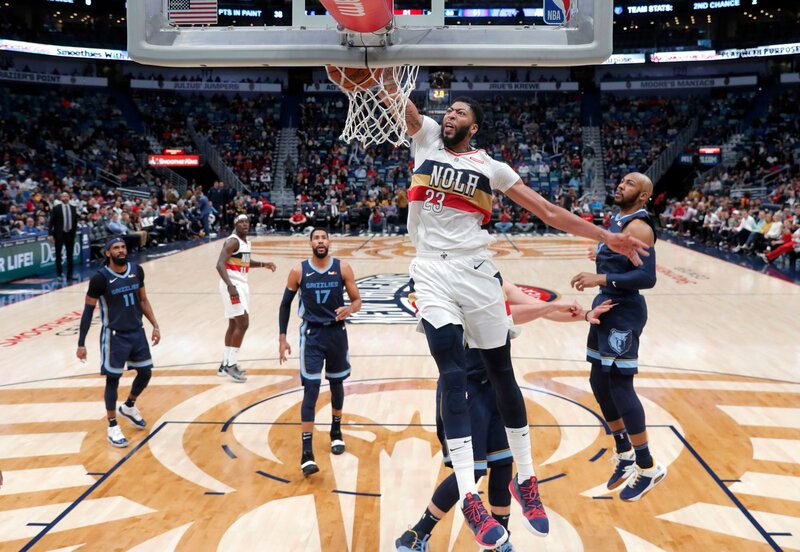 If Davis doesn’t get traded, this poises a huge question for New Orleans: do we shut him down for the season in risk of injury or let him play it out. According to sources close to AD, he wants to play “every game” the rest of the year. As of the past two games, the team has held him out, even though he’s healthy and has recovered from a finger fracture earlier this season. The interesting part about him playing, besides him possibly getting injured, is the fact that with AD in the lineup, the Pelicans have a greater chance to win. While this doesn’t sound bad, it looks like the organization wants to shut the season down and tank, to try to land a better draft pick this summer. Of course, this could all be smoke and mirrors from Davis’ camp and he could have no intention of playing. They could just be putting that out into the media to gain good graces with fans and made the franchise look bad for shutting him down against his request to play. The saga in New Orleans continues. Here’s what to expect with Anthony Davis’ usage the rest of way with Pelicans: Fewer, if any, back-to-backs and a reduction in minutes from his 37 per game.